2CAudio is offering a new sound design and creative effects tool in the form of Kaleidoscope. In fact, it says that it represents "an entirely new class of visual audio effects processor". If you want to describe it technically, Kaleidoscope is "a parallel bank of physically modelled resonators that can be tuned completely arbitrarily with scientific precision and dynamically modulated over time by over two million points of automation". Or, to put it another way: "Kaleidoscope uses pictures to control sound!" Whichever way you slice it, this looks like a plugin that will have sound designers salivating. You can find out a lot more, download a demo and check out some audio examples on the 2CAudio website. 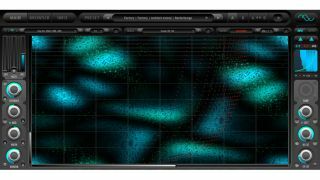 Kaleidoscope is available in 32/64-bit VST/AU/AAX formats for PC and Mac and is currently priced at $199.95 (full price is $249.95).